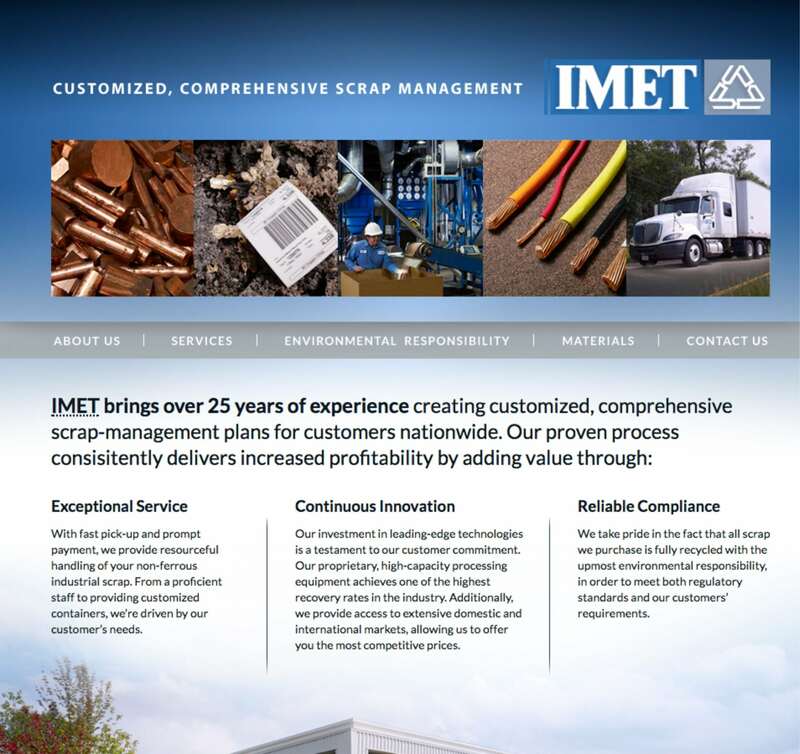 Develop a streamlined, informational-only (non-promotional) website to showcase the client’s service, innovation and environmental responsibility of a market leader in metal recycling. We can color inside the lines when we need to. In-depth research and interviews with the leadership team, onsite facility tours and custom photography unveil the passion and personal integrity that shapes IMET’s business model. Who says scrap metal can’t be beautiful?